For HSH Prince Albert II of Monaco, sustainable sea, ocean and marine-resource management is a priority for Monaco on a national and international political level. The Prince’s Government works continuously for this cause and is fully committed to the UN’s 2030 Agenda for Sustainable Development Goals (SDGs). It is for this reason that the Government is actively supporting the “Monaco Ocean Week” events in cooperation with the Prince Albert II of Monaco Foundation and all Principality of Monaco actors. HSH Prince Albert II of Monaco decided to create His Foundation in June 2006 to manage the problematic environmental issues which threaten our planet. The Prince Albert II of Monaco Foundation works towards protecting the environment and encouraging sustainable development, on a global scale. The Foundation supports research, technological innovation and social initiatives which are organised by public and private organisations. The oceanographic Institute is committed to enhance the knowledge of the richness and fragility of the oceans, promoting their sustainable management and rational and efficient protection. To achieve this, the Institute ensures the mediation between scientific and socio-economic actors on one hand, and the public and political decision-makers on the other. The oceanographic Institute rolls out its mission of “Knowing, loving and protecting the oceans” through Prince Albert I’s exceptional legacy and the exemplary commitment of its founder, HSH Prince Albert II of Monaco. The Scientific Centre of Monaco (CSM) is a Monegasque autonomous governmental organisation which was founded in 1960 at the behest of Prince Rainier III. The CSM’s objectives are to provide the Principality of Monaco with the means of carrying out scientific research and to support governmental and international organisations responsible for the protection and conservation of marine life. The CSM inaugurated its new premises on the Quai Antoine Ier in 2013 and enjoys an extensive international scope with over 50 employees from 15 countries (including Europe, the US, Japan, Australia New Zealand, Palau, Brazil, the Caribbean, Canada, Oman and Saudi Arabia, etc.). The Monaco Yacht Club (YCM) was founded in 1953 by Prince Rainier and has been presided by HSH Prince Albert II of Monaco since 1984. The Club has 1200 members of 60 nationalities and harbours the world’s most prestigious private yachts. The YCM is highly revered in the international yachting and sailing scene. The Town Hall is the oldest Monegasque institution with more than 650 people working in 19 municipal services, in various fields of expertise including Environment and Sustainable Development. Careful and respectful of its environment, in accordance with the orientations desired by HSH Prince Albert II, the Monaco Town Hall has, for a number of years, been committed to an approach in favor of the preservation of the environment; a commitment which leads through concrete and sustainable actions in the Principality. 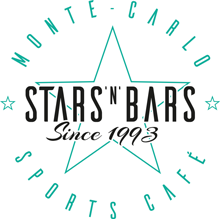 Monaco’s first sports bar and family restaurant STARS’N’BARS (founded by Kate and Didier in 1993) have made environmental awareness, well-being and personal development a priority, while offering a diverse menu based on homemade, organic and locally sourced dishes. STARS’N’BARS is a vital player in the sustainable development of the Principality, and plays an active role in events such as the Monaco Ocean Week, the Ever Salon, The Africa Eco Race, The E-Prix, to name a few. The Pelagos Sanctuary is a marine area of 87,500km2 and is subject to an agreement between Italy, Monaco and France for the protection of the marine mammals which live in it. 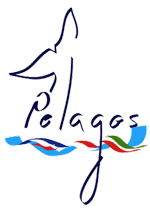 The Pelagos Sanctuary is unique as it is a site managed by three different authorities and includes coastal areas and international waters that form a large ecosystem of major scientific, socio-economic, cultural and educational interest. 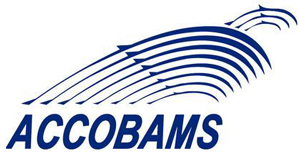 The ACCOBAMS (Agreement on the Conservation of Cetaceans in the Black Sea Mediterranean Sea and Contiguous Atlantic Area) is a cooperative tool for the conservation of marine biodiversity in the Mediterranean and Black Seas. Its main purpose is to reduce threats to cetaceans in Mediterranean and Black Sea waters and to improve our knowledge of these animals. ACCOBAMS is the first Agreement which binds the countries in these two subregions; thus enabling them to work together on a matter of general interest. The RAMOGE zone includes the maritime zones of the Provence-Alpes-Côte d’Azur region, the Principality of Monaco and the Liguria region. The three zones combine to create a pilot marine prevention and anti-marine pollution zone. The RAMOGE Agreement is an instrument for scientific, technical, legal and administrative cooperation between French, Monegasque and Italian governments through which the latter implement integrated coastal management actions. The CIESM was created in 1910 to support multilateral research in the Mediterranean and Black Seas. The Commission is a unique forum for scientific exchange and communication where thousands of researchers work together using the latest technologies and approaches to understand, monitor and protect a highly exposed sea. The Commission is therefore able to defend the Basin’s priorities in terms of marine and environmental research with absolute impartiality and with the political support of its 23 Member States. The International Hydrographic Organisation (IHO) is an intergovernmental organisation whose mission is to ensure that all seas, oceans and navigable waters are surveyed and charted via coordinated, national hydrographic services. The IHO has been headquartered in Monaco since its creation in 1921 and currently has 87 Member States across the globe. The Institute of Economic Law of the Sea was created in 1985 as a licensed association according to Monegasque law and is under the high patronage of H.S.H Prince Albert II of Monaco. The Institute’s primary aim is to carry out studies and research for the legal, economic, social and environmental issues which are generated by the use of maritime and marine areas. The IAEA Environment Laboratories, located in Monaco and Seibersdorf, Austria, work with Member States to develop science-based strategies for the sustainable management of terrestrial, marine and atmospheric resources. Together, they apply nuclear and isotopic science to understand and mitigate the environmental impacts of radionuclides, trace metals and organic contaminants (PCBs, hydrocarbons), as well as to study climate change impacts, habitat destruction and biodiversity loss. This includes for example measuring and monitoring contaminants in the oceans, such as mercury, or plastics, as well as biotoxins associated with harmful algal blooms, and studying how these are transferred to marine animals. The IAEA, through its Technical Cooperation programme, supports projects across the world to share expertise and develop capacity within Member States to apply nuclear techniques to help protect people and the environment as well as contribute to sustainable development and trade. The IAEA provides technical assistance with partners such as the National Oceanic and Atmospheric Administration (NOAA) and the Intergovernmental Oceanographic Commission of UNESCO. The Monegasque Nature Protection Association (AMPN) is the manager of the two Marine Protected Areas (MPAs) of Monaco, which have been set up in 1976 and 1986. It regularly develops monitoring and research programs. Among them are the work done on artificial reefs using a 3D printer immersed in the Larvotto MPA. These lead to the development of innovative tools to preserve or enhance biodiversity. AMPN is also at the origin of the creation of the Monaco Marine Education Area for which it plays a central role. Its expertise contributes to its success and guarantees the possibility for children to become real actors in the protection of the environment. More than 8 million tons of plastic are dumped in the sea every year. 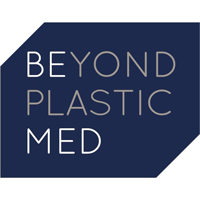 The Beyond Plastic Med initiative was launched on 10 March 2015 during an international conference in Monaco. The aim of the initiative is to support innovative, community-orientated initiatives and to become involved in political, legislative and regulatory decisions which aim to stop plastic pollution. 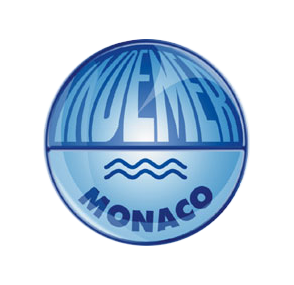 The AMAO (Monaco Ocean Acidification Association) was created by the Prince Albert II of Monaco Foundation. AMAO’s goal is to communicate about, encourage and facilitate international ocean acidification actions and other global marine environment stress factors. The Association of Sustainable Financing of Marine Protected Areas in the Mediterranean aims to mobilise public and private actors to promote Marine Protected Area sustainable development and management by creating a sustainable financing tool. The trust fund is a joint initiative which was created in October 2013 by H.S.H. Prince Albert II of Monaco and the French and Tunisian governments during the high-level IMPAC3 (International Marine Protected Areas Congress) session in Ajaccio.